These are a few of many comments that mothers have made when it comes to the new Walmart Online Grocery Pickup. We all know what it feels like to have to go to the store with kids in tow. It is both mentally and physically exhausting. 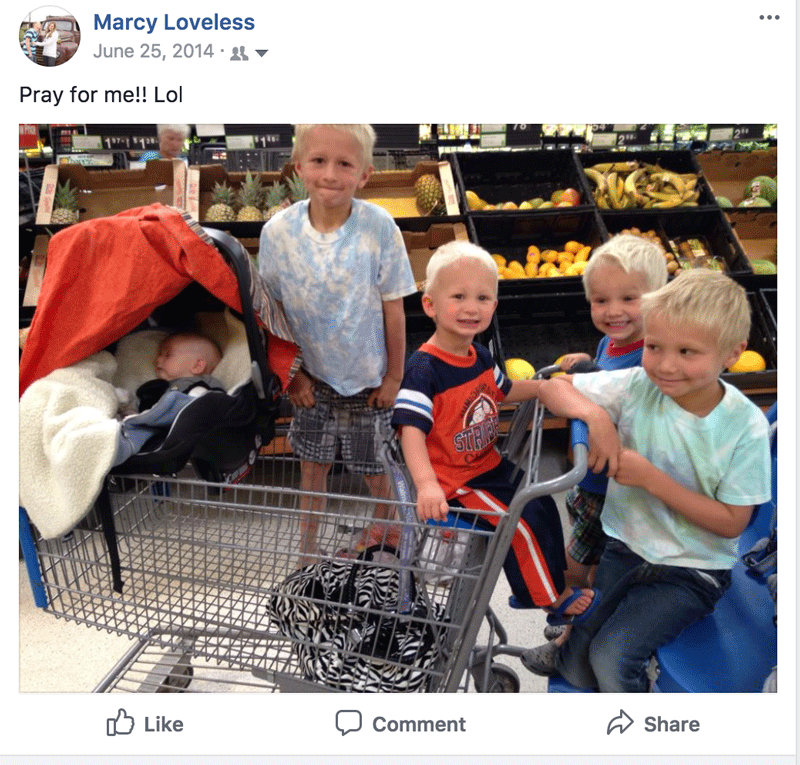 I remember shortly after my 5th boy was born, I posted a picture on Facebook, of all of my boys in a cart at Walmart. Along with the picture I posted “Pray for me!! Lol. HA HA this is no joke! Ha ha! Why Marcy! You couldn’t have needed milk THAT bad! Oh I am sooooo praying for you!!! Pretty much my worst nightmare!!! You must be a desperate woman! Oh my goodness you are brave. Good luck. You must REALLY need to go shopping! Yes I was crazy! No, we didn’t have any food in our house and I’m glad to report that this particular trip was uneventful and no major drama happened. However, this is not always the case. There have been many times that I leave the store exhausted, frustrated, and mentally done. 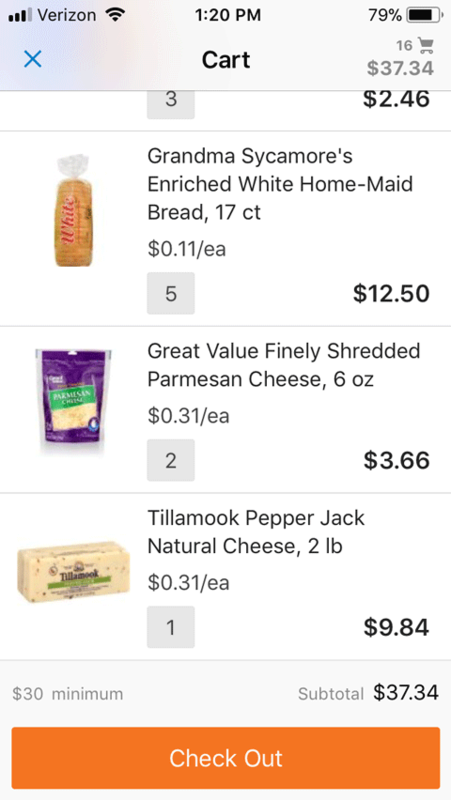 The thought of having an online option where I can order all of the items on my grocery list, drive to the store, have them load the groceries in my car, all in 10 minutes, was something moms only dreamed about. Well moms!! 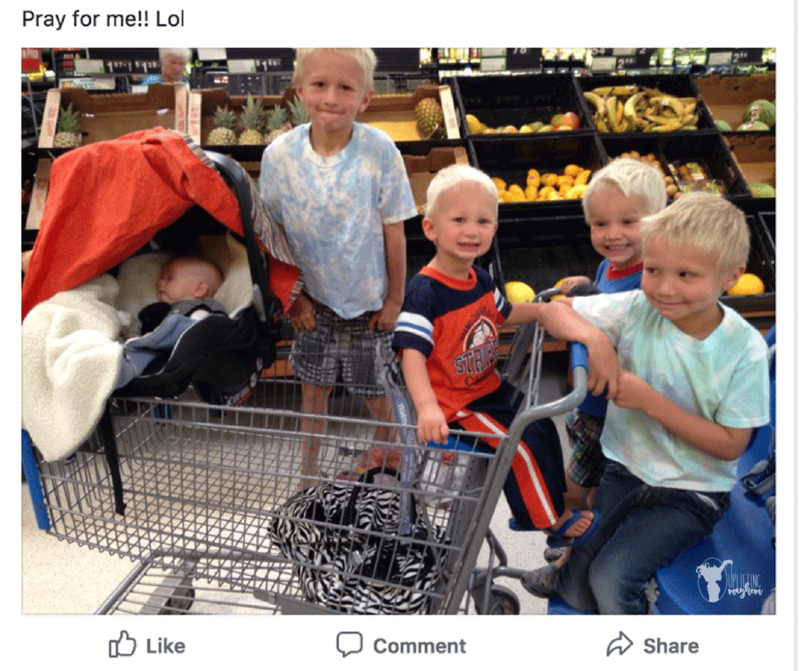 This dream has become a reality for many moms through Walmart and their Online Grocery Pickup service. Here are a few reasons why moms are loving this new service that Walmart provides (Note: this service is not available at every Walmart. 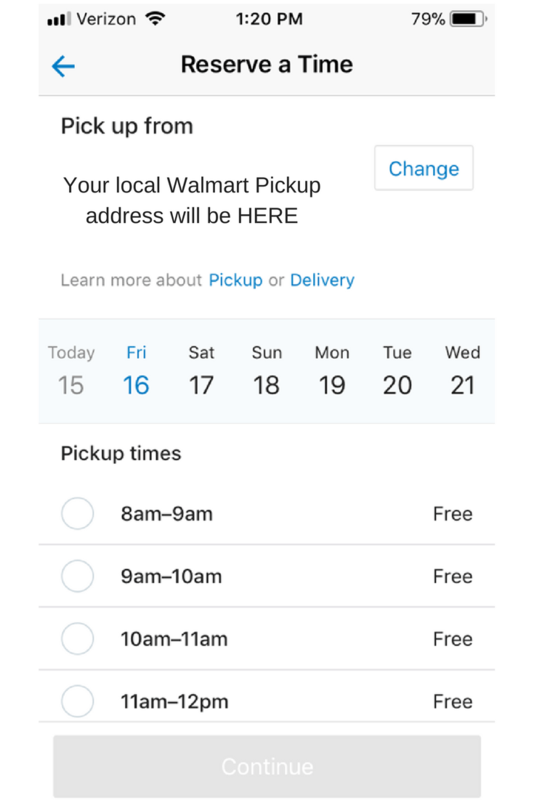 Check your local store to see if Walmart pickup is something they offer. Some stores offer Walmart Pickup for items other than grocery). I had a mother share that instead of taking three small kids to Walmart to grocery shop (“and over spend because I’m frazzled”) they go to the aquarium and play. Afterwards they go and pick up their groceries on the way home. It’s a 10 minute stop and DONE!! What a fabulous substitute to grocery shopping! A mother shared how she plans her meals each Sunday for the coming week. She uses a lot of online recipes so she can just put the ingredients in her cart, as she is looking at the recipe! Isn’t that fabulous? You meal plan and forget about it, knowing when you pick up your groceries, everything you need will be in your order! I’m sure this can be a concern for many. However, this has not proven to yet be a problem. I have always been happy with the produce that I get from Walmart pickup. I had another mother tell me that she thought that they picked out better produce than she did! There have been studies done proving that having a list with you, while you shop, will help save you money and prevent impulse buying. However, we all know when you see something that looks good, it can be hard to not buy it. Especially if you are hungry! Ordering online prevents buying unneeded purchases. Better planning equals saved money! Many moms joke about this, but honestly, lets face it! It really does! I have an hour and half each week that I dedicate to shopping. It is a part of my week that I do not look forward to. Walmart Grocery Pickup changes this. All you do is download the Walmart Grocery app on your phone and begin filling your cart with your weekly grocery list. 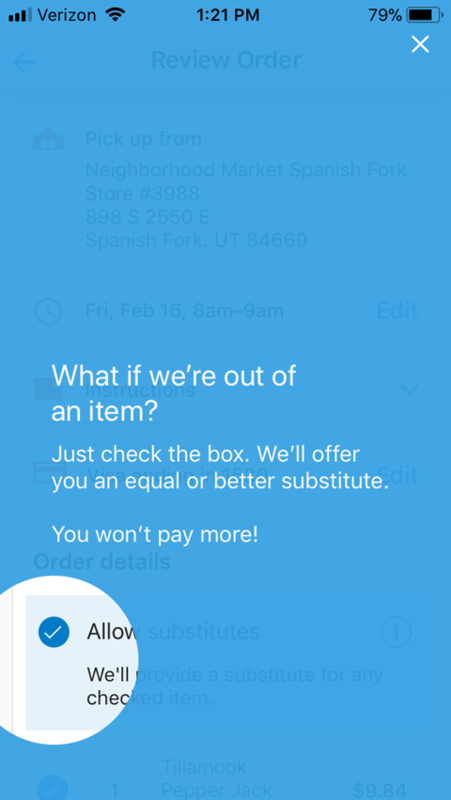 You set a pick up time, allowing the store a couple hours to fulfill your order. There is also an option that you can click on, to allow the personal shopper who fills your order, to substitute a certain item if an item is not in stock. They will substitute it with something for the same price and similar product. You can choose not to substitute as well. When you arrive at the store, you check in through your app. This alerts the associate that you have arrived and they will then bring your order out to your car for you! A MOMS DREAM COME TRUE!! Doesn’t this sound fantastic!!! FOR FIRST TIME USERS you can use the promo code WOWFRESH and get $10 off your first order! Reason #7 – Ultimately you love your children all the more!! Ha ha! There has been so many times I leave the store and I am a frazzled mess! I am done with trying to reign my children in, and I’m tired of them asking me for everything! Walmart Pickup eliminates all of this! You spend the time at home to order your groceries, and have a calm 10 minute pickup instead! Fabulous! Reason #8 – You avoid all of the germs that comes with shopping at the store! This is especially true during the flu season! I dread taking my kids to a public store for this reason. Well you can skip this now and order online in the comfort of your home. You don’t have to worry about carrying a sick child inside to grab medication that you were needing. Simply order it and Walmart will take care of the rest! Remember, use the promo code WOWFRESH and get $10 off your first order! ENJOY! PIN and let all your mama friends know about this great service! It really is a game changer!